Here are some pictures of one of the best upgrades. Kind of in between QR and 20mm. It worked out great!!!! Thanks to Chad at red barn. He build me a set on 4.2d with Hadley hubs. The front hub has the 9mm conversion kit and it makes the front super stiff. The rear is a 10mm TA hadley hub. 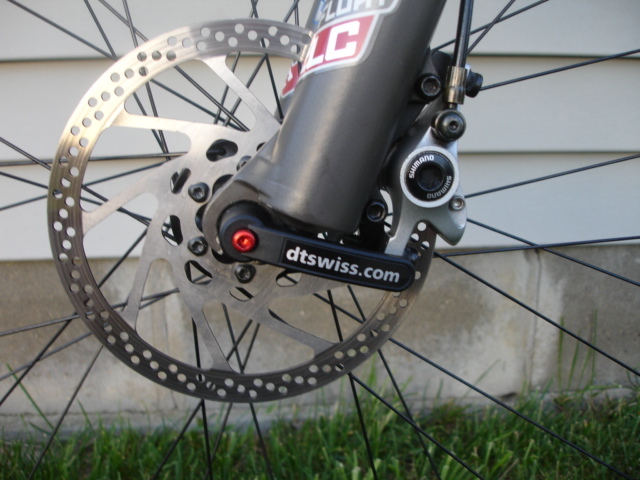 The quick releases are the DT swiss RWS and they are light!! (not that that matters). I tried the bike at Brown County State park in Indiana and the horst link feels so stiff. Stiffer than my TNT flux. This was an experiment since you would rarely see 4.2d rims laced to TA hubs with super comp spokes. But it works wonders. If you are not going to abuse your spot ala RFX, then the 4.2d works just fine. Last edited by Zion Rasta; 05-17-2007 at 08:28 PM. It’s easy trade me for my 2007-TNT off of my Flux. I’m serious! It’s easy trade me for my 2007-TNT off of my Flux. I’m serious! Just PM me and we can arrange the swap. ...do you need a special front hub? yeah, pony up with the specifics! I have seen the RWS before but with little info on it. If it works on XT hubs I would love to give it a try. ZR, you have the chance to be the first homer-tester, but we need some graphs and sh!t. Info on stiffness, overall ease of use, price, comparos to regular QR's and 20mm TA's, the whole shebang, so to speak. Those few of us without Pikes on our Spots need this info. Don't hold out on us! 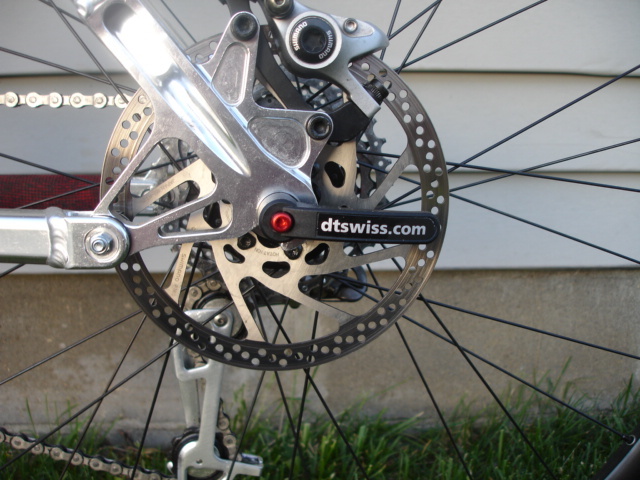 I didn't know the RWS's worked on anything but DT hubs converted for its use. If not, I'd love to use one on my Hope rear. The RWS Thru Axle works with any hub. Of course, the 10mm works with the rear 10mm hub and the 9mm front works with the hadley QR 5mm to 9mm conversion which you can use with Hope hubs. I think Larry Mt cycle has done this before and I am sure Chad could hook you guys up with the hadley conversion. The RWS is really easy to use and you can get both wheels off as fast, if not faster, than a normal QR. 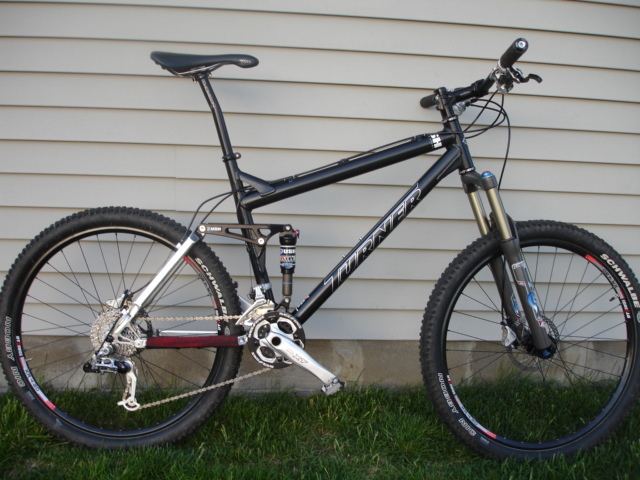 I have a 2005 fox RLC up front because it was light, albeit noodlely. With the front 9mm RWS it feel super stiff so you can avoid the extra weight of the pike. 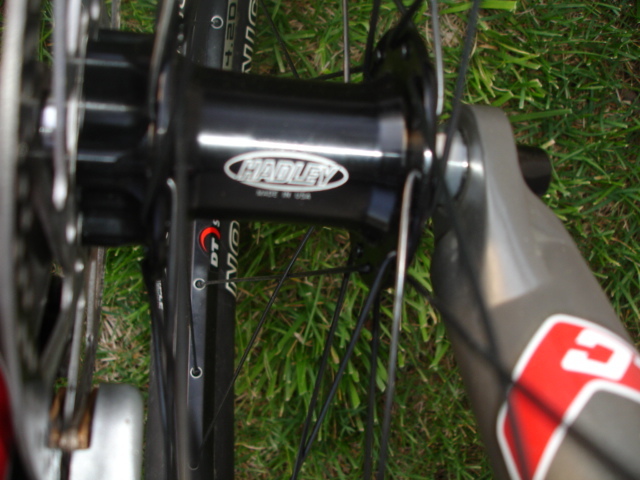 I do not know if the conversion kit works with shimano or CK hubs (please correct me if I am wrong). Only hope and Hadleys that I know of. It also reversible, so I can go back to QR if I wanted to, but who the hell wats to do that? It is a sweet set up - no tools needed to take the TA off on the trail - SCHWEET!!! I have both Spot HL and Flux TNT so I can do the swaping myself. I do not think I want go through all the work for 1mm difference in path. Thanks for the advice, now if only someone can find me a qr for my Z1, I'll be set. Thanks for the report. I have the same 9mm RWS + conversion kit on order for my DT 240s front hub. I'm hoping it will stiffen up the front end noticeably enough to sooth the UGI desires for a Pike. I really don't need to dump $800+ into the bike right now. Good to hear it's worked for you. JC why not do what I did on my rear Pro II and switch the axle for a 10mm bolt in? I would rather do that, actually. Point me in the direction of the parts for this conversion. I ordered the axle kit in the UK through my LBS but any Hope dealer should be able to get the part, the axle comes with the bolts and washers and is pretty straight forward to fit. It is far too scratch and dirt free. Go beat that bad boy like an ugly stepchild. I'm an ugly stepchild! I take offense to that! if anyones gonna offend folks, its me. just ask whafe and the rest of the leagals. now stop steppin on my toes. nice lookin ride rasta. those skewers are pretty cool. wonder if they are i9 compatable too. I rarely crash, and I wash my bikes after every ride. I like to keep them in shape so that I can have a great ride the next day. I think they will fit!!! If you have a 9mm TA on your I9's then go for it. The skewers are light if not lighter than my hopes and very stiff due to, obviously, the 9mm diameter for the front. 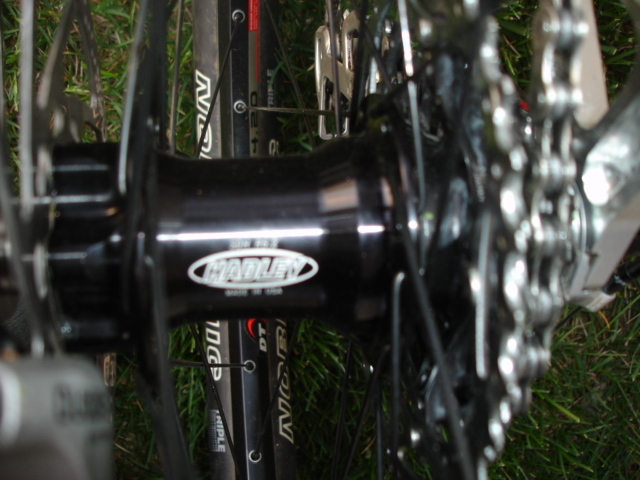 I have enduro I9's already equipped with 10mm hadley thru axle, so rear compatability should be fine. My front hub is equipped with standard qr end caps, I'm sure I9 has some end caps that will work with this interface. 4 pound coil fork WITH thru axle! Mmmmmmm. Hmmm. . . this looks very promising. I just built up a set of wheels for my (soon to come) Sultan using Hope Pro II hubs, and was concerned that a Reba up front would not be stiff enough . . . looks like this might address some of my concerns. Here is a link for the Hadley to Hope front adapter (though from what ZR mentioned, Larry or Chad could order as well . . .
Last edited by Random Drivel; 05-20-2007 at 10:09 AM. I have a Hope Pro II rear and I've tried the standard QR, Hope 10mm bolt in axle and most recently the RWS 10mm thru skewer. I think the best option for me has been the Hope bolt in kit. As Paul5s says it's really quick to use and I always carry an allen key. It feels stiffer than the RWS option as well. Just curious but would anyone know how this would compare to a CK hub with a HD axle and funbolts? I have a CK front hub that has become a King 9mm thru axle frankenhub. Works fine with the DT RWS 9mm. Marginal improvement though. Using it on a Spot with '08 Fox Vanilla. The DT stuff looks very cool. Lucky for me I have DT 240's and a Hope with a Pike up front. I need to cave and try the bigger QR in the back to finally put to bed the TNT vs. HL debate.